Emma decides to see a primary care physician after she witnesses a series of memory lapses followed by severe headaches. The physician after performing preliminary tests such as a CT scan and blood work refers her to a neurologist suspecting that she has glioblastoma multiforme, an aggressive brain cancer. Unfortunately, the earliest appointment for the neurologist that is covered under Emma’s insurance is a month away. Fearing the worst, she decides to see a neurosurgeon outside her insurance plan. The new neurosurgeon doesn’t have access to Emma’s medical history nor the preliminary tests performed by her primary care physician. So, she gets an MRI done, pays for the costs out of her pocket, and applies to her insurance hoping for reimbursement. Her worst fears come true as she is indeed diagnosed with brain cancer and surgery is recommended. She finally gets an appointment with the neurologist covered by her insurance. But, the same problem repeats as there is no access to her blood work, CT, MRI, or other medical records. 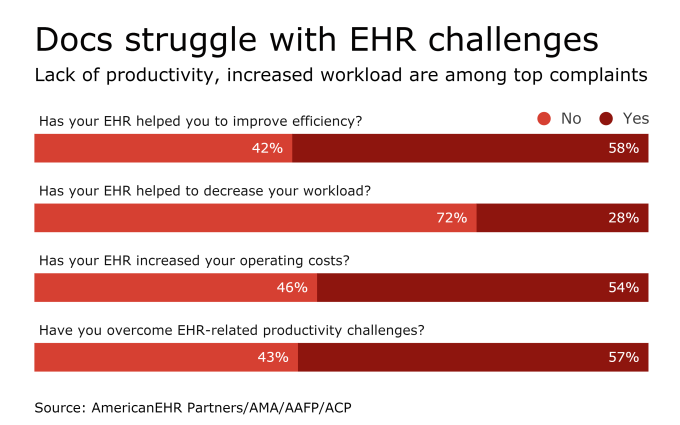 Apparently, most healthcare providers use different IT systems with little interconnectivity which makes it difficult to share patients EHRs (electronic health records) seamlessly to coordinate the scheduling of care. They somehow figure things out using staff calls, faxes and other paperwork before a surgery date can be booked but only after a prolonged delay due to this lack of interoperability. Her surgery is successful but the insurance disputes some claims that are scattered across multiple healthcare providers with redundancy and overlap. Now, imagine a futuristic scenario where Emma has her medical history and all of her medical tests data on a blockchain. This data is recorded on a distributed network where all participating parties, be it the physician, the neurosurgeon, the neurologist, or any other care provider has access to this all the time. Of course, Emma controls who does and does not have access to this data on her blockchain. Her insurance, also one of the parties granted access to the blockchain records, interacts with Emma’s healthcare providers at multiple touch points since the data is easily accessed. Her treatment and claims are preapproved as they can be validated in real time without the manual coordination required today. The care providers are paid in a timely manner without all the normal friction and manual effort. This is just one of the use cases that blockchain brings to the table where every vital sign that has been recorded, all of the medicines taken, information associated with every doctor’s visit, diagnosis, test result, and procedure is efficiently captured. As a result, the quality of healthcare rises as the costs fall. And it’s already happening. When people hear blockchain they typically think of its applications in banking or financial markets. I am working with healthcare companies who are setting the pace on blockchain adoption. Big healthcare research institutes are filling patents to protect their innovations & investing heavily into blockchain. New age healthcare company’s immediate goal is to move into the phase of building production-ready blockchain applications. For example, MedRec is a blockchain application pilot built by the MIT Media Lab in collaboration with Boston-based Beth Israel Deaconess Medical Center. 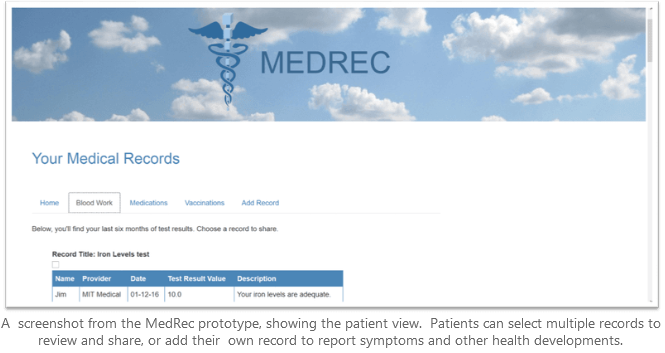 MedRec prototype can track inpatient and outpatient care data across hospitals enabling patients with one stop access to their medical history, solving the problem of data being scattered and/or not accessible. That was just one example. Let’s see in more detail on how blockchain can disrupt every aspect of healthcare. Counterfeit drugs are a growing worldwide problem including in United States. According to a 2014 report by American Health & Drug Benefits, it is estimated that illegal production causes more than 100,000 deaths per year globally and costs pharma companies around $18 billion in lost revenue. The need for authentic drugs is driven by Drug Supply Chain Security Act (DSCSA), a U.S. Food and Drug Administration (FDA) policy enacted in 2013, which “outlines the steps to build an electronic, interoperable system to identify and trace certain prescription drugs as they are distributed in the United States. From a regulation and compliance perspective, this makes blockchain an ideal solution for the business problem of tracking and tracing pharmaceuticals as every transaction in the supply chain from origin to distributor can be accurately traced in real time, ensuring authentic drugs. Executing DSCSA act on the blockchain brings in numerous operational benefits and millions of dollars of savings to be reaped through supply chain efficiency. In addition, blockchain solutions provide an audit trail that tracks drugs within the supply chain, streamlines enforcement, deters bad behavior, and notifies parties of any non-compliant events. Instead of relying on periodic spot inspections, blockchain-enabled smart contracts can help make sure the appropriate parties are automatically notified of non-compliant events as they happen without manual effort. We already have examples of companies that are developing such blockchain solutions for the pharmaceutical industry. 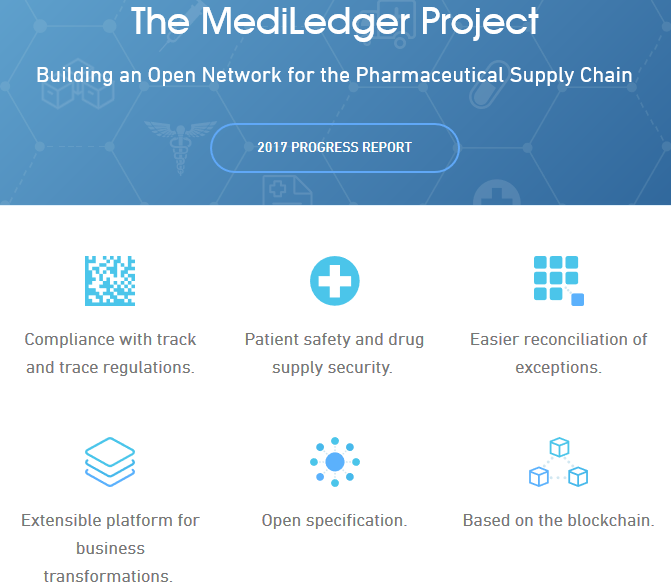 Chronicled, a technology company based in San Francisco specializing in supply chain solutions, has partnered with The LinkLab a supply chain consulting group in San Francisco, to create the MediLedger project to track and trace prescription medicines and prevent counterfeit ones from entering the supply chain. 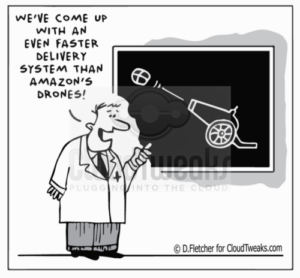 EHRs (electronic health records) haven’t undergone major change in decades and deserve disruptive innovation. EHR systems powered by companies like Epic and others store patients critical health data but they tend to be closed information silos. You have a bunch of incompatible IT systems and scattered data trails that severely limit a patient’s ability to engage with their medical history or leverage network effects of enhanced interaction through easily shared data. As a result, patients face significant challenges in authorizing data exchange with other consulting doctors due to the lack of a common APIs that facilitate record access across databases, IT systems and apps. With these interoperability issues, the hospitals themselves can’t easily share the patient’s data with other hospitals, outpatient centers or other care providers. This creates a huge problem for all stakeholders in your healthcare, from patients to doctors to care facilities, etc. For instance, physician burnout is affecting about 50% of practicing doctors and EHRs are squarely to blame as doctors are spending more time on data entry and learning different IT systems than actually talking to their patients. Blockchain can be the innovative solution that brings a fresh approach to this problem by streamlining EHRs and enabling data sharing across healthcare providers with a familiar interface. This could save hospitals $93 billion over five years in the U.S. alone according to the Premier healthcare alliance and benefit patients by giving them access to a holistic view of their entire medical history. Existing EHRs need not be rendered obsolete as blockchains don’t require healthcare providers to abandon their current systems and databases. Rather they can be layered with blockchain so that one can pull data from a single authoritative source. We already have a number of pilot blockchain implementations underway involving EHRs. Estonia, often referred to as the blockchain nation, is working to secure the online health records of all its citizens on a blockchain so as to provide real-time visibility to patients and healthcare providers. IBM is also working on a blockchain solution where patients can access a lifetime history of their medical records across institutions with complete control over which physicians can see the different records. With your consent, data is made available to researchers and other healthcare institutions. Today, outcome manipulation and misreporting are serious problems in clinical trials. 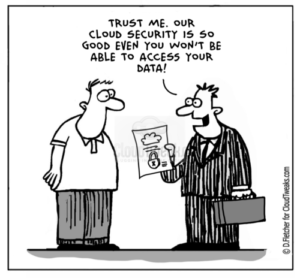 Also, obtaining data captured during clinical trials despite mandates from governments for open access is difficult. Often the failed trials are missing from the data sets so that a true representation of the efficacy is hidden from regulators and the public. According to COMPare, a team based at Oxford University’s Centre for Evidence Based Medicine, a recent project between October 2015 and January 2016 to monitor clinical trials, just 9 in 67 trials it studied had reported results correctly. On average, each trial reported just 58.2% of its specified outcomes and each trial mysteriously added 5.3 new outcomes. As as result, patient care premised on the available findings is gravely compromised. So, how do you restore trust to clinical trials? Once trials are linked to blockchain based solutions, one can effectively capture the entire life history of these trials with authenticity built into the algorithm. Since blockchains are capable of recording and time stamping the data captured in real time, outcome switching and misreporting can be easily exposed. Transparency in data will prevent companies and journals from reporting hand-selected outcomes bringing in the necessary trust in clinical trials. Today, wearable devices backed by IoT (internet of things) technology are moving basic healthcare services to the home. Fitbit, for instance, is very popular brand to millions of Americans given its ability to track physical activity, sleep, and heart rate parameters. Sensara is a remote monitoring system and an app that uses small sensors to keep an eye on elderly family members tracking their physical activity, sleep, and other events. Goode Intelligence forecasts that by 2019 there will be 5.5 billion users of mobile and wearable biometric technology around the globe. That’s unprecedented technology penetration. 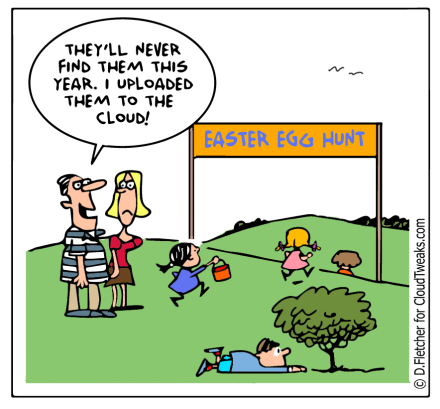 But, the massive data that these wearables and home based medical devices generate is typically streamed to the cloud personal use and not available to physicians. 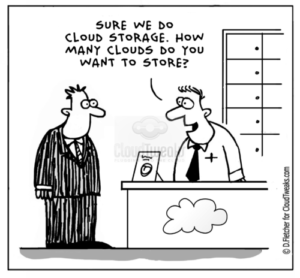 Even in cases, where monitoring data is transmitted to a specialist for a particular condition, it is not being fully leveraged by all your care providers. Besides, wearables and home medical devices have security vulnerabilities that would pose a serious threat to hacking of a patient’s sensitive health data. One can fix all these problems with the use of blockchain-enabled wearables and home medical devices. For example, the use of blockchain could link every wearable device to a patient data hub with all of the patient’s health records to allow physicians a single distributed view of information in real time. Not to mention, a blockchain solution can also make the data retrieved from wearable devices secure and immutable as it is difficult to tamper the records in a distributed network without alerting the other participants in the network and leaving an audit trail. Healthbank, based in Switzerland, is a digital health innovator that is working on collecting health data from different sources and storing them centrally in a secure environment. Data from wearables such as heart rates, sleep activity is integrated with information from hospital visits such as X-rays and stored securely on a Healthbank blockchain. Today, advanced medical equipment costing millions of dollars are exclusive to major care providers in large cities. The problem with this model is that only healthcare providers that can afford to build-out for large scale are capable of providing the best care with the patients unwittingly relegated to less-equipped care providers. But, what if those machines were more widely available through the sharing economy? Think of Uber and AirBnB where resources of multiple providers are aggregated through a common interface to empower a more active group of consumers. the lowest-cost or most convenient facility without the current constraints that shield these options. A blockchain enabled platform can do exactly that by “uberizing” professional medical services. Even better, blockchain can enable a sharing model without the need for navigating various proprietary healthcare systems as the model could be run on a decentralized peer-to-peer network. Enabled by blockchain and smart contracts, we can efficiently share these million dollar medical assets bringing down the costs and providing services to segments of population that earlier couldn’t access them. Another problem that blockchain is capable of solving is access to quality medical services. Today, access to such services is either expensive or difficult due to factors such as distance patients must travel, bureaucratic issues, and inefficient insurance systems. Medical tourists have to go completely outside their insurance. There is no cross-border integration between healthcare systems. Although it is early on how these things will pan out, WELL, a global blockchain platform is addressing this issue by connecting healthcare specialists and patients worldwide while facilitating real time insurance verification and reimbursement via company’s WELL tokens. The WELL tokens will enable an on-demand system that solves the problem of cross-border payment and facilitate high quality healthcare services to reach other parts of the world. Healthcare insurers have complicated billing requirements and often deny or delay claim payments. Moreover, many healthcare providers experience substantial cash flow issues with insurance claim denials that seem arbitrary. Each insurer has different reimbursement amounts and procedures such that the complexity of accepting patients from all major insurers is overwhelming. Clearly, there is a problem in the way insurance industry operates with trust definitely missing. 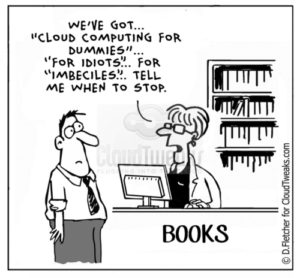 But, what if you could develop a solution that securely processes claims in seconds instead of weeks or months? Dokchain provides identity management to validate each party involved in the transaction, be it consumer, payer or provider. It can also perform ‘autonomous auto-adjudication’ meaning once the parties have been validated, the transaction between them can be processed instantly in a machine-to-machine communication based on previously agreed upon smart contract. Claims are processed in seconds instead of months with a precision not possible with the manual systems it replaces. Similarly, Capital One is building an application that uses blockchain technology to track claims for its medical clients. 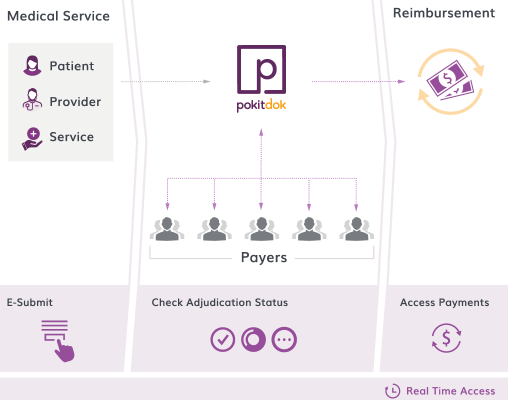 It also helps patients determine their out-of-pocket costs before they select providers or undergo treatments to help patients reduce costs and healthcare providers collect payments. Unbelievably, without a solution like this care providers have no idea what a patient will be charged after insurance has processed the claim. Vaccines are biological preparations with a limited life span. Cold chain breaks, meaning degradation of vaccines due to being stored in temperatures too hot or too cold, are responsible for loss of 15% to 25% of purchased doses. Many times with the patient not knowing their inoculation will be ineffective or even harmful. UNICEF found that globally that one third of storage units in high income countries and 37.1% in low-income countries contained vaccines that were exposed to temperatures below recommended ranges, causing loss in the millions of dollars. Blockchain technology is a possible solution that can manage cold chain breaks more efficiently with unbreakable trust. One of the biggest advantages with blockchain solutions is the ability to track every step across the supply chain, leading to improved provenance and traceability. Think of a blockchain solution that uses a distributed ledger of vaccination records. The distributed nature of the blockchain sees that vaccination data can be hosted and shared by all the participants in the supply chain simultaneously without any tampering of the records. The distributed ledger is automatically updated at each step of the supply chain with the help of sensors that can be placed in cargo containers to monitor the temperature in the storage. As a result, one can record the journey of vaccine from manufacturer to distributors, public health authorities, or any other healthcare organization. The permanent records captured during this journey can help trace where the failures in the supply chain are occurring. The data is intact and immutable due to the decentralized nature of the distributed blockchain ledger. Vaccine quality can be maintained in the entire supply chain and immunizations delivered to the end patient can happen with full knowledge of the quality of the doses. Companies and Startups are already working on building such solutions. IBM Canada is one company that is exploring and rolling out blockchain solutions for interested parties. It has built and assisted multiple jurisdictions around the world in deployment of vaccine inventory management solutions with cold chain breaks based on their blockchain technologies. Given blockchain’s potential in healthcare with insurers, patients and care providers, we see established market leaders and disruptive startups moving fast to replace existing business models, scale current business models, and look for new market opportunities. This creates a “land grab” for the innovation space as everyone tries to emerge as market leaders in a blockchain powered healthcare world. 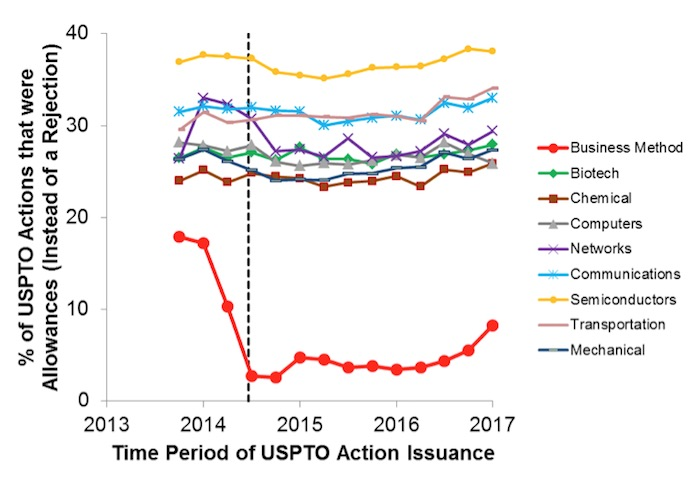 In the United States alone, there were only 71 blockchain patents filed, but by 2016 that number had jumped to 469. If you are a first mover innovating in this space, the importance of IP protection to capture your effort will solidify your dominance over the competition for years to come. Last year there were 1,248 blockchain-based patent applications filed across China, the EU, Japan, South Korea and the US. These patent filings generally cover infrastructure required to support a given blockchain application and are tailored to the unique problems of a particular industry. You should carefully hire a patent attorney who can develop a robust strategy to protect your company’s IP. Portfolios of patents are often used by competitors to “muscle” others out of their space or protect new entrants from getting traction. Blockchain is no different. With so many patents being filed, any business wanting to remain relevant must protect their innovation as patent squabbles precipitate the inevitable consolidation. Blockchain is here to stay in healthcare and major innovation efforts are taking place to solve the biggest problems we face. Those who tackle these problems and protect their innovation will be well situated to dominate the new technology platforms after the wave of blockchain disrupts current business models in the spread across the industry. Thomas Franklin is the Founder of Triangle IP, a machine learning tool that helps enterprises with their patent strategy by offering critical insights. He is also a Senior Partner at Kilpatrick Townsend & Stockton. 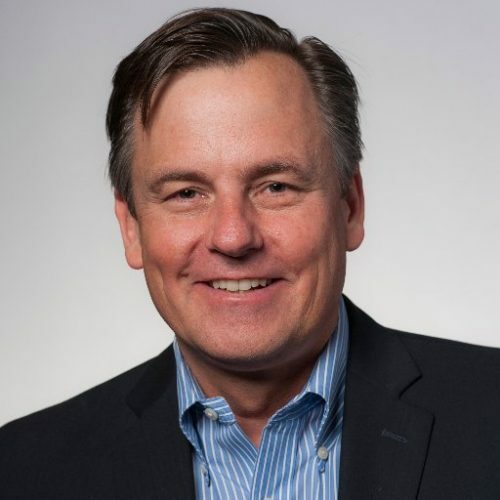 Over the past two decades, he has worked with numerous Fortune 500 companies in crafting their patent strategy. His experience broadly covers the areas of Software, Blockchain, AI, Cloud, Internet technology, Wireless communications, Networking, and Other technologies. He has been recognized by Chambers USA in 2016, 2017 and 2018 and was listed by The Best Lawyers in America in 2018 and the three years immediately preceding for patent law.